George Will’s Republican Party Is DEAD: Long Live The Republican Party | Virginia Right! 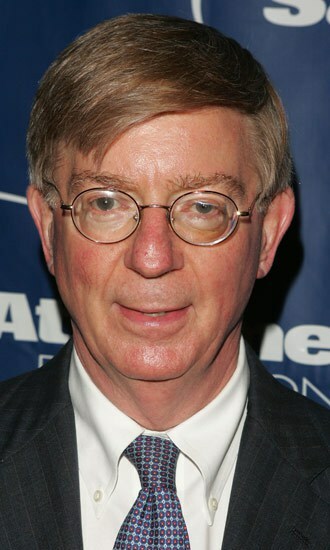 Yesterday, the elitist sycophant George Will, the national voice of the Bush and Ford families, vomited an article aimed at appealing to libertarians and limited-government conservatives. The premise around which his entire, intoxicated, argument swirled was that, “To will an end is to will the means for the end, so the Republican clamors are also for the requisite expansion of government’s size and coercive powers” (Times Herald). What he is trying to say, foggy and bizarre as it sounds, is that in order for Republicans to demand that United States law is enforced, is to demand government expand. Why, pray-tell, does our desire to enforce the laws already voted upon by our legislatures and signed by United States Presidents, expand government? Because our government has been refusing to enforce those laws in the first place. So, would George Will argue that our continuation of the War on Drugs is a de facto measure of “big government”? I’m quite sure I’ve never heard him make that point, but we can be certain that if we ended the war on drugs, government would get smaller wouldn’t it? And what about the police? If we just got rid of the police, we’d have smaller government. Oh, George Will must be for that too, since to will an end is to will the means for the end. George Will is accusing conservatives of being for big government because they want laws already in existence to be enforced. Is George Will an anarchist who doesn’t believe in the rule of law? Is George Will a democratic-populist who believes in arbitrary rule of law? No. George Will is a corporatist, big-government Republican who represents Wall Street, K Street, and the Chamber of Commerce. He is the face and tongue of the Country Club Republicans. I hate to tell you this, Mr. Will, but your Republican Party of wealthy, self-important, nihilists who believe the American Worker exists to provide the Corporate Class with cheap labor is dead. It’s dead. The Republican voters despise you. The Democrat voters despise you. Libertarians despise you. Your reign of Crony Capitalism is quickly approaching its’ end. Prepare to encounter a new Republican Party that won’t doll out corporate welfare. No more double standards for the corporate elites who purchase your newspaper companies, who buy your politicians, and who write our laws. That’s all coming to an end. George Will’s Republican Party is DEAD. Long Live The Republican Party! Well said Steven. You left out one discripter for Georgie boy and that is he and those he speaks for are parasites on the working class. This group needs to have that moniker planted on their foreheads. The largest issue facing the nation is immigration. This affects everything. Wait until the country has 30 million immigrants,with no or limited education, do not know the language, do not know the culture or what determines the culture and have grown up having been indoctrinated in there own countries. Most of these people believe there own country would be fine with only the right leadership, when in fact it is the legal system that determines which type of government you have. The politicians will all promise more and more goodies to get relected. The money will ultimately run out. How do you know that there are not 30 million or more illegal’s already here? Republican’s cheap labor. Gene, what would that matter? has developed the citizens to have a dependent mentality and a crippled labor market. This one issue has so many inter connecting problems for our culture, legal system, and the economy. There is one thing I believe that many people do not understand about commerce and that is, commerce/business is neither moral or immoral it is amoral. It functions in the whatever environment it is in. Commerce exists in the maximum security prisons. If this country as we know it is to survive there will have to be a return to its fundamental principals as embodied in the constitution. LOL … apparently he said the same thing about Reagan. Political Theater getting better every day! The Republican Party elites are interested in Government, only. Accepting the death of the Constitution, the GOP becomes no better than the Democrats, desperately pursuing people groups and interest groups in pursuit of political power. What happened to individual liberty, self-reliance, and rule of law? George Will Supported the 50,000 Illegal Immigrant Migration of Unaccompanied Minors from Central America last year- stating it was America’s duty to accept these children- the cost was minimal- only 2-3 children per county in the US. HE said America could easily Absorb them. We know that isn’t how refugee resettlement happens. Those children bankrupted the school districts and social services in the communities where they were placed in large numbers. Boycott Fox News and George Will. Scott Walker is gathering all the forces of evil to him lol. I don’t know why, he seems like a great guy and a really good governor. One further comment. When there are large numbers of a country being absorbed into another country,.assemilation does not happen. Look anywhere in history. It does not happen, and you will not have a melting but instead it will become a boiling pot which has begun. Both Democrats and Republicans want to increase their voting block. Each will promise more and more to get that vote. Mr. Jackson, this is why we must suspend all immigration for 12 years to assimilate the ones already here. Could you imagine how much faster our economy would grow and our culture would stabilize with a 12 year stay on immigration?